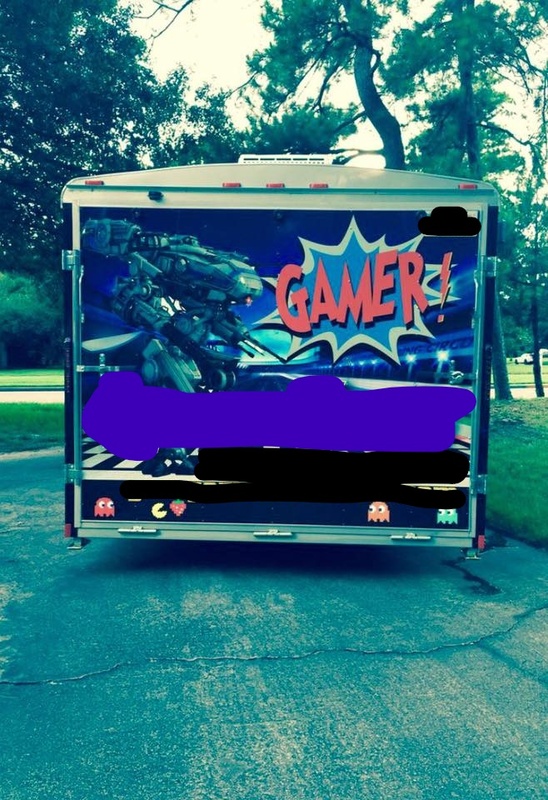 This 24′ Wells Cargo-manufactured trailer is a 2015 model, with an Onan 7KW Gen, 7 Interior Gaming Centers! Just added an Internet extender! 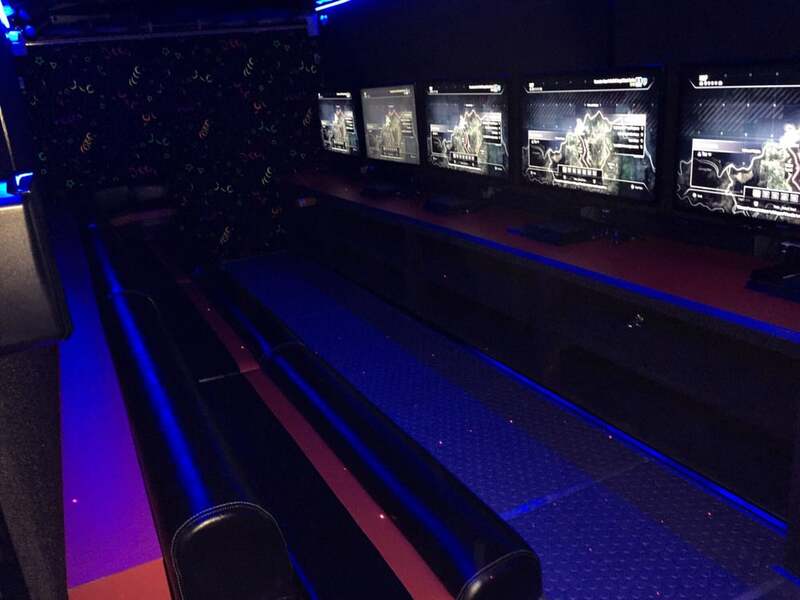 One side is equipped with a sixteen-foot-long bench capable of seating up to twelve players and faces five high definition flat screen TV’s – each connected to PS4, X-Box One or Wii-U. 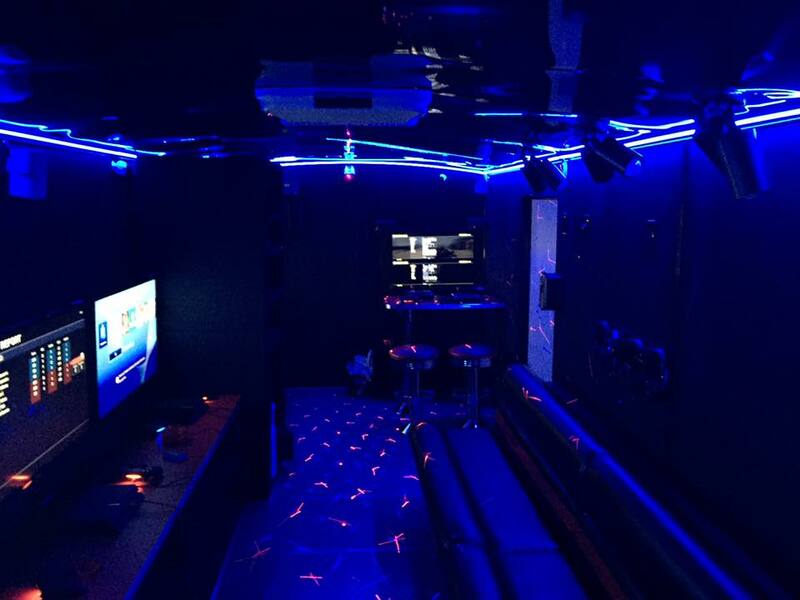 Each screen is connected to a sound bar located under the screens for better enhanced sound quality. 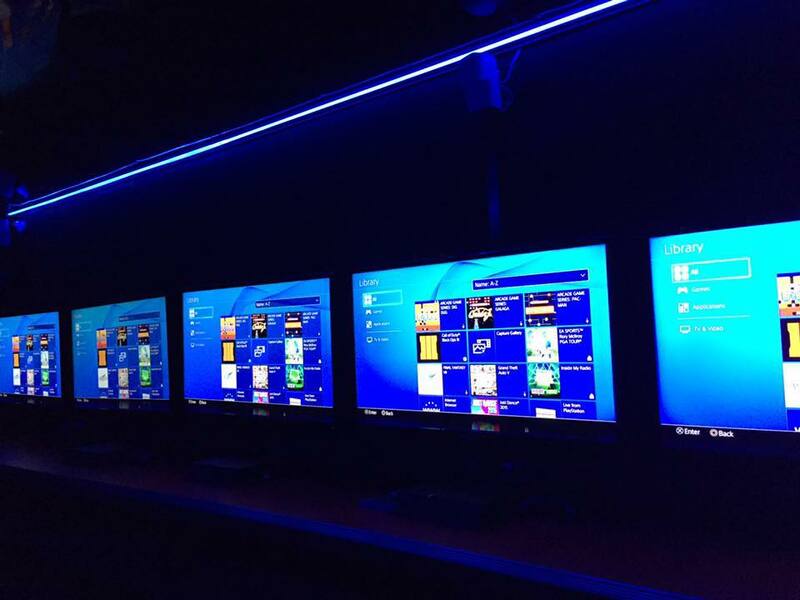 The “retro” station is on the right-hand side of the entrance and is composed of two bar-style stools and a high table facing an ultra-high definition screen connected to a PS4. 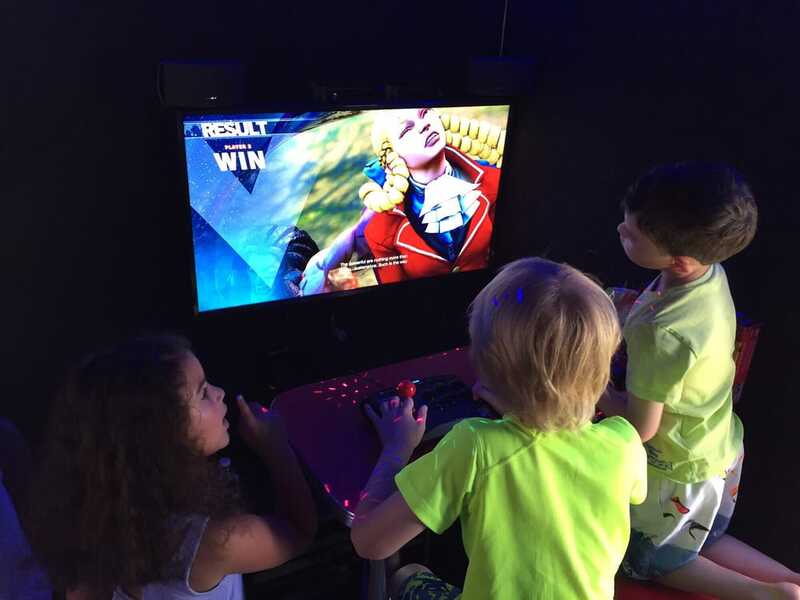 Using the modernized retro street fighter joystick, people can enjoy playing traditional arcade games that were recently re-released for PS4 such as street fighter, Pac-man, wall climber, and more. 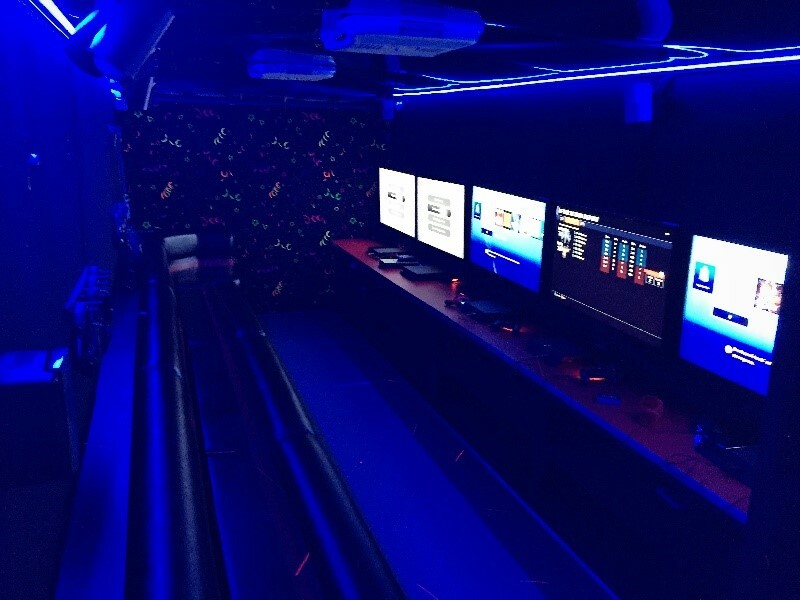 On the left-hand side of the retro station a sixty-inch screen TV connected to a PS4, Wii U and a Bose surround system allow people to play games from our sports collection, such as NFL, baseball, and Soccer, and the more recently released, “Just Dance”. This area is large enough to accommodate three kids or two adults. Seller willing to include database of over 600 clients, website and social media. Call for details and price. Delivery available for $2.00 per mile one way. 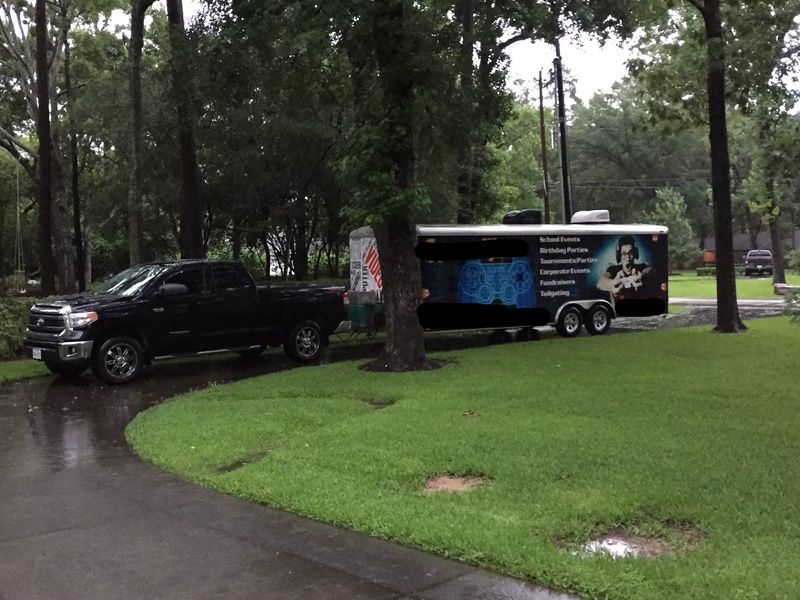 Two AC units, 15,000 BTU and 13,500 BTU in addition to three fans located at the front. 7KW Onan gas generator mounted at the tongue with 18 Gallon tank.